You, like all other businesses, have a decision to make – own or lease your fleet. The way you manage your fleet, impacts your overall business strategy and success going forward, with dependability, predictability, and efficient use of capital looming large. This holds true whether you lease or own your fleet. The truck leasing versus owning decision is pressing because of the significant impact it has on the business and its customers. What application do I need the vehicle for? What is my total cost of ownership including often overlooked costs such as administrative, tires, licensing, HR? Where can I spend my capital best to grow my business? Is fleet management a core competency? How can I maximize my fleet, guarantee uptime, and have predictable low monthly costs? When you look at it, leasing gives you many of the same benefits owning does, plus it offers choice, flexibility, and value added benefits. Leasing vehicles provides cash flow benefits, reduces administrative burdens, offers added fleet management tools, and opens the door for other services such as maintenance and regulatory compliance. When was the last time you evaluated your fleet and transportation spend? Do you know your total cost of ownership? We do. 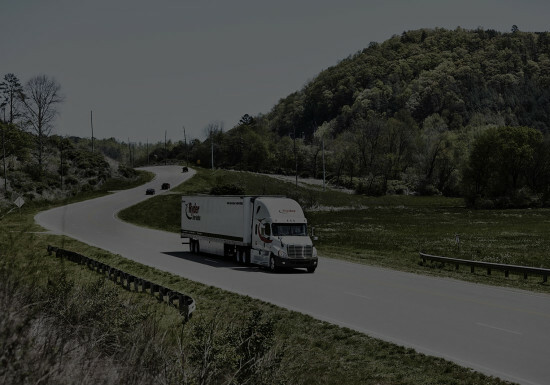 Ryder pioneered a simple total cost of ownership tool with Ernst & Young and validated by KPMG that evaluates the cost of owning and operating your fleet for you. By inputting your fleet information we do a needs assessment customized to your business. Our total cost of ownership (TCO) tool is the only one in the industry that can tell you where you can save and how much, which for many of our customers is up to 25 percent in costs. Also, as we perform your total cost of ownership assessment, we have a financial expert with us. They work as an objective third party and can speak to your controller, CFO or other financial personnel. If the TCO tool finds that leasing is the most beneficial path for your company you have a choice to make. In some cases, ownership may be the better route and we will let you know if it is. If ownership is the right path for you, we can show you how you can save money on your own fleet through our financing options, maintenance, protection, safety equipment, or rental needs during capacity peaks. Schedule your FREE TCO assessment today. 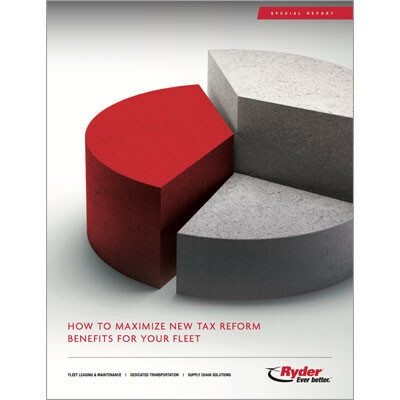 New tax law changes have strengthened the value of leasing a fleet, making it even more attractive in most cases than owning. At Ryder, we completed a deep analysis of our Ryder ChoiceLease product and adjusted our pricing model to benefit our customers. In addition to the cost of a lease going down, the reduction in the tax rate makes leasing a more financially sound decision because the lower tax rate translates into a diminished tax shield. — Robert Holland, Vice President, Transportation & Logistics at Tailored Brands, Inc.